I was born and raised in Milbridge, ME, which is a coastal community that makes a large portion of it's income from the ocean. My husband is a lobster fisherman, as are many members of my extended family. I was shown at a young age that hard work and perseverance is the only way to get ahead in life. 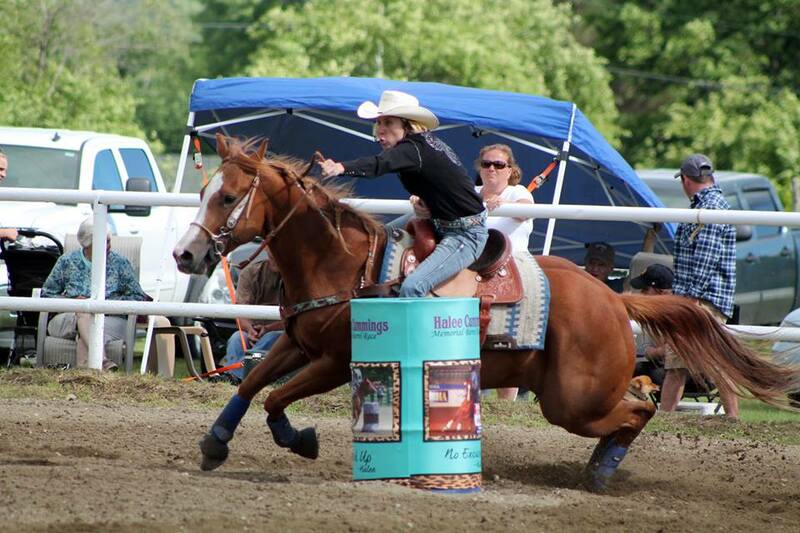 I am a 3rd generation barrel racer. Following in the footsteps of my grandmother and mother. Both are well respected trainers and competitors. I "trained" my first horse at 4 years old, and never stopped from that moment on. My mother took me to clinics, and competitions near and far, including the Josey Junior World in Texas in 2001. In 2009 I graduated college with an Associates in Veterinary Technology and have worked as a Vet Tech at a local clinic since then. In 2014 I was able to purchase my first young horse to train by myself. Freckled Rocktari, a 2011 AQHA gelding has been a blessing for me. He was broke to saddle and knew the basics when I bought him. 2016 was our first real competitive year and he came out strong, exceeding my expectations. We ended the year as the Maine Open NBHA State Champion, the Maine Barrel Racing Champion, winning our first saddle, and the Maine District 02 Open Champion, and if we didn't place 1st in an event we were almost always in the top 5. Rocko and I traveled to NY and GA to large jackpots and were just out of the money in the 2D our first time at these events. Overall we placed in the top 5-10% each time out of 700-800 horses. Rocko is a special horse and I am looking forward to 2017. I joined the WPRA this year and will be traveling throughout New England, and into Ohio, and down toward Virginia, WV, and Maryland to fill my permit. I purchased Rocko's 2 year old half brother in the fall and believe he will be just as good as Rocko, and hope to enter him in a few futurities in 2018. When I was 16 I was diagnosed with fibromyalgia, and then years later after a week in ICU, I was diagnosed with Lyme disease. I have been treated and believe it is no longer active, but Lyme doesn't just go away. It left my body weak and tired, and very painful. I refuse to let this stand in the way of my goals though. Some days I need a little more help than others, or just a little more rest, but I have found ways to keep going and succeed. Thankfully, Rocko seems to know and helps me when I am not at my best.